This plant stand will be a beautiful addition to your patio, balcony or outdoor entertainment area. Our plant stands are perfect for any small space, or to accent a larger space. Our plant stands are lightweight and constructed of durable iron. 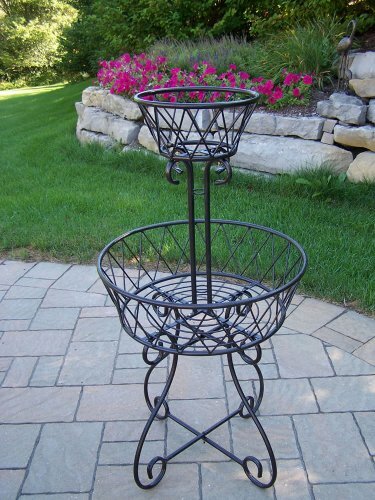 This plant stand features a hardened powder coat finish for years of beauty.